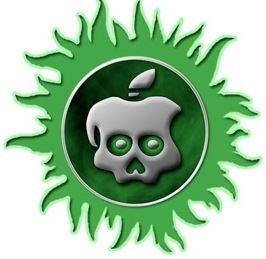 The Greenpois0n Absinthe A5 jailbreak utility for iPhone 4S and iPad 2 on iOS 5 has been updated to version 0.2, and now includes a Windows release alongside the Mac OS X version. In addition to bringing the jailbreak to Windows PC’s, the new version aims to resolve some of the earlier database problems, white screen errors, and white icon errors that some users encountered during the process. If you had problems with the first version of Absinthe and gave up on jailbreaking, try again with this version. If you’re already jailbroken, you don’t need to bother and this version doesn’t offer any changes to you. Instructions on how to use Absinthe A5 for jailbreaking are the same for both Mac and Windows PC’s, and continue to only support A5 hardware, including iPhone 4S with iOS 5.0 or iOS 5.0.1, and iPad 2 with iOS 5.0.1. After the jailbreak has finished on the device, if you hit an error remember to enable VPN from Settings > Network to cause the reboot. Just installed Absinthe, and found that my iPad 2 is still locked to network. this is a jailbreak not an unlock! My Verizon 4S is unlocked for international SIM’s, although I have the Verizon SIM in it right now. The issue I have is that I am roaming in Cameroon and there is a CDMA network that the 4S, a Droid X, and a BB all think is Verizon. On the BB, you can force the phone to use GSM. On the 4S, you cannot. Several hours on the telephone with Verizon confirmed that they had Apple remove that functionality. I jailbroke the phone hoping that I might somehow be able to add the functionality to force the phone to use GSM. I cannot find it. Is there no way to do this? Absinthe for mac would not launch for me, what is going on? I have no idea why it is unable to open at all too. I can’t even open it on my Mac. After downloading it many times as well. It just goes to the window asking me if I would like to report or ignore it. Do you have any idea why this is so and if I can rectify it? Thank you so much! I try to jailbreak ipad2 5.0.1 with Absinthe windows software but failed. but it stuck at this screen and later on the windows close this program automatically that its stop working. not working at all. Unable to upload the screen shot. I have the same problem with my ipad2 when i tried to jailbreak. i am stuck at the beginning of the process for about 40 mins, then windows close this program automatically. I didnt have the problem when i tried to JB my 4s though. Does not work. I have tried with Absinthe for windows, after running the program as administrator, the jailbreak start and then does not move anymore… For hours! The VPN is off and cannot get it on as I need some data required. Did apple take down the update server? Can’t update to 5.0.1 right now, says server can’t be contacted. i saw the message from the installer to open the absinthe icon to finish install.I’ve followed this instruction but when i open this icon i can only observe the message : “Checking for some things,stand-by” and i could stand-by for hours.Please fix it or give me an answer where is my mistake.Thanks for attention. so i jailbroke and everything went fine with iphone 4s 5.0.1 but it ran out of battery and now it wont get past the boot screen with the apple logo. help? Recharge the phone, restore from backup, and try again. now 1h. – creating backup and nothing! I have same prob. Tried restoring iPad again and Ansinthe jailbreak from a second computer. Nothing worked so far. Same problem here. Is there any way to make absinthe forget that you tried to jailbreak the device instead of absinthe trying to fix it? Because it doesn’t work. I launched the Greenpois0n Absinthe A5 jailbreak utility for iPhone 4S and iPad 2 on iOS 5, connected my Ipad2 to my computer (Windows 7). It then shows a message “you need to disable the backup password in Itune before you can continue, start Itune, remove the backup password and start the program again”. Is this normal? and how do I remove the backup password? You are using encrypted backups, just turn it off in iTunes. Remember to turn off your pass code lock temporarily too. For remove, go to the first page of your iPhone settings on iTunes. can you please tell me how you fixed the problem, i have searched ITunes but not sure where the answer is. Absinthe cannot detect my ipad 2? whats wrong? I unplug the iphone 4s and plug it back in but it repeats the process over and over. but won’t the restore set my phone like new and I have to put everything back on it? Did you manage to fix it??? Click on the icon when it shows up, that’s how you complete the jailbreak. I did that but it says something about the URL not being complete I forget I am just about to give u! I am trying to JB my iphone. But when have the icon of Absinthe on my homescreen and I press on it. It says: ”Wait for absinthe to complete”. I have been waiting for longer than 30 min and when I try to press the Jailbreak button it says can’t find the URL. Can anybody give me some advice? its happening to me too.. can somebody explain why its doing that? i’m stuck at the black screen that says “waiting for absinthe to complete” with the long glowing green-colored jailbreak bar..
its happening to me too with my ipad2.. can somebody explain why its doing that? i’m stuck at the black screen that says “waiting for absinthe to complete” with the long glowing green-colored jailbreak bar..
1.click the green jailbreak button. then something will open, but dont reakt on that. 3. git to settings, general and then activate the vpn button. what’s wrong? i’ve restored my iPad, followed all the steps, but it still gets stuck there. Never once went beyond it even after an hour.. HELP?? hey, I have an iphone 4S running IOS 5.0.1. jailbreak appeared to be successful but i cannot find the ” absinthe ” icon anywhere?? i try to connect to VPN but all it says is ” a configuration error occoured ” HELP ME!!! done jailbreaking my ipad2 ios 5.0.1, done with the tweaks from cydia and installous, then i noticed that the safari is not working, after pressing the safari icon, it goes back to the main menu.. pls need help with the problem..thanks..
Hey all i found a workaround for this error – u need to activate the iphone 4S befor use it with absinthe . U need 3G iphone ( mine have latest fw 4.2.1 ) plug it to your computer sync with itunes then unplug it and plug in 4S iphone in DFU mode and resore it with itunes but restore it as your 3G device .. If u pass this u can now use ansinthe to jailbreak your iphone. i jailbroke it and it was working great, and then randomly all of my apps would only open to the top left quarter of the screen. any way to fix?? i have watched all the videos on youtube, and i bring up the absinthe a5 program under administrative rights and plug my iphone 4s 64Gb in the computer and this program wont detect the iphone!!!!!!! yeh im having the same problem! anyone have any answers? 2. Remove your passscode lock if you have one. 3. On your iPhone, go to Settings>General>Reset – then click on Reset network settings. 4. Double check and make sure your WiFi is off. 4. Click Jailbreak and let it go through the process. Mine took less than 5 mins and did not freeze up because I deleted extra apps. 5. Absinthe will then ask you to unlock your phone and click on the Jailbreak/Absinthe icon. Do not do this! 6. Go to settings and click on VPN. Click ok if an error comes up. If this does not automatically reset your phone by the second try, then try to reinstall the jailbreak again by repeating steps 3-6. You do not need to restore your phone through itunes first. Good adivce. THis worked for me when the initial attempt failed. That works like a charm for me. The first time I tried just like the instruction said but failed, cydia icon never appear. I tried to jailbreak my iphone 4s 5.0.1 with absinthe. After absinthe was installed on my iphone the devices reboots and I now got the temperature symbol and the device reboots after a few minutes again and again. ok i tryed to jailbreak my 4s running 5.0.1 worst thing that could go wrong did the program stopped responding on windows maybe half way threw the process so it closed…..now when i try it again it says “seems like u tryed to jailbreak before and messed up will try to fix”. then it say recovery complete unplug iphone replug and try again”….but i keep getting this message everytime i try now. can someone direct me to fixing this problem thanx. Hey, suddenly my phone app appears just to a quarter of the screen a few months after i JB it! It’s so frustrating! how do i get it back to full screen without restoring my JB? Update 26.05.2012: Some are having issues with the Windows version, so here is a potential fix.